The U.S. Attacks on Syria: What Comes Next? No one should underestimate the value of the cruise missile strikes the United States launched on April 7, 2017. Attacking a single air base will scarcely cripple the Syrian Air Force, nor will it limit Syria's ability to use its remaining chemical weapons. The strikes have, however, sent a very important signal to both America's friends, its critics, and its enemies. One key message is that in the first real crisis of his Presidency, President Donald J. Trump listened to his expert advisors, proved to be flexible in changing his position, chose an option proportionate to the task, communicated effectively with Russia to avoid Russian losses, and acted quickly. He neither failed to act, nor did he overreact, and he sent a clear message that the United States would not only confront a localized threat—but would act in spite of Russian pressure. The U.S. strikes will not, by themselves, alter the course of the Syrian civil war, nor will they reduce the overall level of civilian suffering. The strikes may well, however, have set a precedent that will keep Assad from using chemical weapons again, as well as send a broader message that the United States will stand up to Russia. They have also shown that the United States will still use force when necessary—something many states in the Middle East and outside it had come to question—along with U.S. willingness to establish real-world "red lines" in dealing with any power that uses weapons of mass destruction. The U.S. action may also have a broader impact in limiting Assad's use of state terrorism against his own people. The United States has focused far too much on ISIS and extremist violence by non-state actors. State terrorism by a secular authoritarian like Assad is no better than violent religious extremism by a non-state actors, and the impact of chemical weapons and barrel bombs have shown that state terrorism can be, in fact, far worse. Cartoon of Xi shaking hands with Trump, who is carrying a large stars-and-stripes hammer behind his back marked 'tariffs'. Forget the warm handshake. Take with a pinch of salt Donald Trump’s talk of his “very, very, great relationship” with Xi Jinping. The idea that Washington has ceased to harbour deep suspicions of Beijing just because the presidents of the world’s two biggest economies shared pleasantries over steak in Florida is fanciful. Xi will certainly be hoping Trump’s cordial welcome was for real, because China has much more to lose economically from a trade war than America does. This might sound counter-intuitive given that Beijing can deploy the economic nuclear option if Trump makes good on his campaign pledge to slap whopping tariffs on Chinese imports. The US owes China more than $1 trillion and Xi could send America’s economy into a tailspin by sanctioning a dumping of US Treasury bonds. The old cliche goes that there's no substitute for a mother's love. But for Chinese intelligence officers, her access to classified information comes close. On March 29, the U.S. Department of Justice announced the arrest of Candace Claiborne, an office management specialist (or administrative assistant) with the State Department, for failing to disclose thousands of dollars in gifts and payments from Chinese officials. Some of the gifts that Claiborne accepted, which included thousands of dollars in cash and items such as an iPhone and MacBook computer, were for her personal use. Many of them, however, went to a person identified in the complaint against her as "Co-conspirator A." The media initially ran with stories that the figure was a man deployed by Chinese intelligence to steal Claiborne's heart - and any privileged information she had access to - in a so-called "honey-trap" operation. After all, female administrators are frequent targets of these kinds of schemes, which typically dispatch attractive men (known as "ravens") to romance them. But the details of the complaint make clear that Co-conspirator A is, in fact, Claiborne's adult son, who returned to live with his mother in China in 2012 after finishing college in Maryland. Among the items he received through his mother's Chinese contacts are tuition at a fashion school in Shanghai, spending money, a furnished apartment, international vacations for him and his friends, a sewing machine, and herbal medicines. There has been a lot of speculation on India’s nuclear doctrine since Vipin Narang, a nuclear strategist from the Massachusetts Institute of Technology, said, “There is increasing evidence that India will not allow Pakistan to go first,” at a conference on nuclear policy hosted by the Carnegie Endowment for Internation Peace, a Washington-based think tank. Referring to an India-Pakistan war scenario, Narang added that India’s opening salvo may not be conventional strikes trying to pick off just Nasr batteries in the theatre, but a full comprehensive counterforce strike that attempts to completely disarm Pakistan of its nuclear weapons. This is a big claim. The pieces of evidence cited for this claim are: India’s focus on developing highly accurate missiles, acceleration of ballistic missile defence (BMD) and the development of multiple independently targetable re-entry vehicle (Mirv) capabilities for its missiles. None of these moves sufficiently explains a possible change in India’s nuclear doctrine. First, the development of accurate missiles is being undertaken as India’s yield of nuclear weapons is 15-20KT (kilotons) for its fission warheads and 250KT for thermonuclear warheads. The destruction caused by nuclear warheads goes down exponentially as the distance increases from the centre of the blast, hence the move towards improving the accuracy of weapon delivery systems. It is trite to say that our education system needs a rejig. While ideas for reforming the archaic macro structure of education in India will call for a whole book, a few strategic moves outlined in this column could help infuse vigour and enforce clarity in the system. Education is in the concurrent list of the constitution. Both school education and higher education are under the purview of the central and various state governments. The Ministry of Human Resource Development(HRD) has under its ambit, a cognitively-impossible number of institutions and organisations to keep track of, leave alone administer efficiently from a central pulpit. This calls for rationalisation of the structure for some efficiency in the distribution of labour. At this point, it is worthwhile to note that our constitution framers had placed education in the state list. In 1976, it was transferred to the concurrent list through the 42nd amendment, leading to stealthy appropriation of powers by the centre to push through its socialist agenda. Till fairly recently, it looked like two massive new agreements would compete to define the future of world trade. The Trans-Pacific Partnership, backed by the U.S., would try to move the global trade architecture toward new norms, with harmonized regulations at its center. Meanwhile, the Regional Comprehensive Economic Partnership, backed by China, would drastically reduce remaining tariffs across a swathe of Asia and push the existing model of trade and manufacturing as far as it could go. The TPP is now history, thanks to Donald Trump. But the RCEP can't exactly declare victory yet. The 16 countries involved -- China, Japan, Korea, Australia, New Zealand and much of Southeast Asia -- have discovered a familiar hurdle in their path: India. 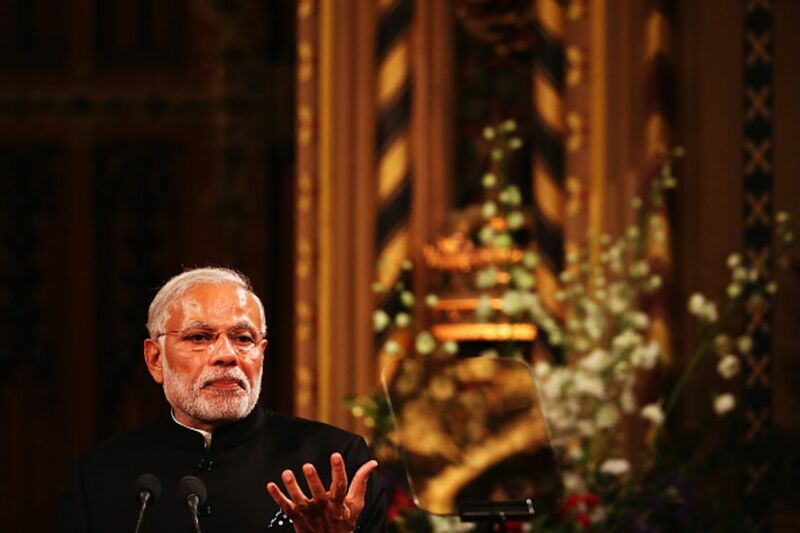 India has a long history of grumbling about trade agreements. In the past, it has almost single-handedly held up consensus at various World Trade Organization meetings. But it seemed much of that was changing in the past decade or so. Under its previous prime minister, Manmohan Singh, an understanding had begun to develop in New Delhi that trade agreements aren't just about the mechanics of who gains and loses; they're about international relations, and how to tie countries and economies closer together. Under Singh, India negotiated dozens of free-trade agreements -- including one with the Association of Southeast Asian Nations, which he hoped would lead to a "pan-Asian" agreement. In his bombshell book “Destined for War,” which is soon to be released, Harvard professor Graham Allison offers what can only be described as the definitive account of how Washington and Beijing could soon be on the path to a disastrous conflict, ensnarled in what is often referred to as the Thucydides Trap. While the book offers many important insights, it is Allison’s depiction of the most dangerous of greases for this trap that should terrify his readers. 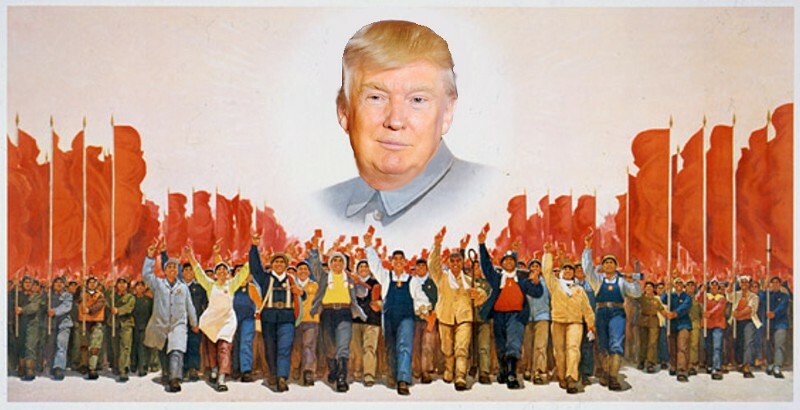 The enabling substance contains two key ingredients: Chinese President Xi Jinping’s Chinese Dream and visions of putting his nation on a path toward “national rejuvenation,” and U.S. President Donald Trump’s quest to Make America Great Again. These set the stage for a bigger challenge: The creation of a zero-sum game in which the newfound greatness of the one is perceived as a strategic or economic loss for the other. As Xi and Trump meet today, both sides must grasp the sheer sum of challenges in front of them -- six by my count. While just one of these problems would be a major challenge between great powers in any era, we are presented with the most perilous of situations: multiple pathways to conflict between two states armed with large nuclear arsenals. Without serious give-and-take on both sides, the world’s most important bilateral relationship could become its most dangerous. Nothing brings together bitter enemies more than even bigger enemies or shared problems. With China reeling from decades of disastrous Maoist policies that left millions dead and an economy in ruins, while the United States suffered from the aftereffects of the Vietnam War, its own troublesome economy and, most importantly, a Soviet surge that looked as if it could tip the balance of power, Washington and Beijing had ample reason to make common cause. Typically, the visit of a Chinese leader to the United States provides the stage for analysts to reflect on the effectiveness of U.S. efforts to defend the liberal international order against China’s challenge. The election of Trump and the rise of populist and anti-globalization forces in the West might signal a paradigm shift on the issue of China and the global order. Just two or three years ago, questions about the future of the global order centered on China’s potential contributions or challenges to it. Today, the world finds itself asking whether China could step in to lead, and what that would mean. Global leadership has to be earned on merit, not simply granted in desperation and hope. The world must recognize that globalization with Chinese characteristics is not globalization at all. Yet Xi’s achievement — and Trump’s failure — has been in the reframing of the debate. Asia's Dilemma: China's Butter, or America's Guns? Flying into Singapore's Changi Airport, one is struck by the fleet of ships lined up off shore, the tendrils of a global trade network squeezing through the narrow Malacca Strait. Singapore is the hub, the connector between the Indian Ocean, South China Sea and Pacific. Since the late 1970s, with little exception, trade has amounted to some 300 percent of Singapore's total gross domestic product, with exports making up between 150 and 230 percent of GDP. Singapore is the product of global trade, and the thriving multiethnic city-state can trace its trade role back centuries. Having arrived in Singapore from Auckland, the contrast was stunning. It's not that New Zealand isn't heavily integrated into global trade networks — some 50 percent of its GDP is based on trade, and since its early days as a British colony it has been heavily dependent on distant trade partners. But whereas Singapore sits at the center of trade flows, New Zealand is at the far fringes, a remote outpost that has come to represent the leading edge of free trade agreements and calls for globally agreed-upon trade rules. Given the significance of trade to the two, it is perhaps no wonder that New Zealand and Singapore were both part of the P3 countries (alongside Chile) that initiated Pacific trade talks in 2002, which emerged three years later as the first iteration of the Trans-Pacific Partnership (TPP), adding Brunei as the fourth founding signatory. Only a decade earlier, in the 1990s, trans-Pacific trade had exceeded trans-Atlantic trade, marking a shift in global patterns established for several centuries. Trade is the lifeblood of the Asia-Pacific, and even with rising examples of nationalism, the globalized world is still seen here as a greater benefit than risk. Whereas colonialism was exploitative, globalism is seen as the provision of opportunity for growth and national strength. For special access to experts and other members of the national security community, check out the new War on the Rocks membership. The shadow of inadvertent escalation has loomed large over the Syrian battlefield in recent days. Last Thursday night, President Donald Trump authorized missile strikes in Syria in response to a recent chemical weapons attack in Khan Sheikhoun. 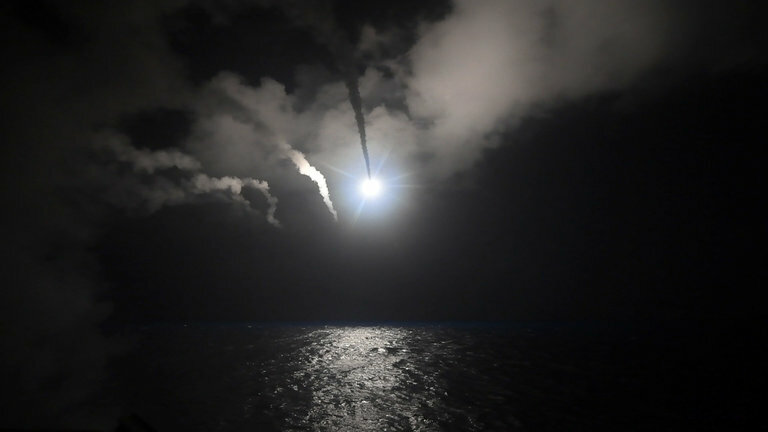 In a matter of minutes, 59 Tomahawk cruise missiles rained down on al-Shayrat airfield, pummeling Syrian fighter jets, aircraft shelters, and other military targets. In an important sense, the missile strikes represent a departure for American policy in Syria. The CIA began arming opposition forces in 2013, U.S. aircraft have waged an expansive air campaign in the country since 2014, and U.S. special operations forces have operated on the ground since 2015. However, Thursday’s strikes mark the first time the United States directly attacked regime targets. Every country faces generational change. Evolutions in technology, culture, social mores and global affairs can leave a gulf between young and old that neither can easily bridge. In Russia, that gulf is especially vast. As of this year, 27 percent of Russians were born after the fall of the Soviet Union, and that number will jump to nearly 40 percent within the next decade. The rising generation was never Sovietized. Most of them, moreover, are too young to remember the tumultuous 1990s, a decade of war, financial crisis and political disarray. Unlike the older generations, they don't recall President Vladimir Putin's promises to save Russia or the measures he took to stabilize the country after its post-Soviet tailspin. In fact, they've never really known life without him. For Putin, the situation poses an unfamiliar challenge. What is a Geopolitical Diary? Shortly after the longtime leader came to power, his administration launched a series of initiatives to woo young people. Large youth groups such as Nashi formed, promoting nationalism and prescribing support for the president as every Russian's civic duty. The ideological groundwork these organizations laid sustained the Putin administration's popularity for nearly two decades of political stability and economic prosperity. After about a decade, though, the groups fizzled. The younger generations didn't take to them as their predecessors had. Having spent their formative years in a stable and strengthening country, they lacked the experience of living in a broken state. Today, much of Russia's youth population is still playing by its own rules, to the Kremlin's dismay. We now know how many cruise missiles it takes to turn you from pariah to respected member of the American foreign policy establishment: 59 — the number President Trump fired on a Syrian government airfield on Thursday. “I think Donald Trump became president of the United States,” the CNN host Fareed Zakaria gushed. And yet firing missiles at half-empty air bases does not make up for a lack of foreign policy acumen, let alone a strategy for dealing with a Middle East that has consumed American blood and treasure for at least 15 years. In fact, the good money says that Mr. Trump is, through plan or happenstance, likely to push us further into the fighting, whatever he promised on the campaign trail. In the coming weeks, we’ll have a long debate over where America is headed in the Middle East. But the question that historians will ask, decades from now, is how those 15 years of flailing failed to teach us anything. BrExit is the latest big story for the people of Britain to believe in, a story that has split the population in half between the Remainer's and the Leavers. The BrExit vote was a reaction to the slow dissolution of what was once the world’s most powerful nation into just another bolt on to the European Union Superstate. For Leavers BrExit is seen as a last ditched effort for Britain to resurrect its golden age. So whilst you read part 2 of my comprehensive BrExit analysis, remember that BrExit is just the latest story built on past stories of glory and it won't be too long before we all move onto the next big story, as that is what humans do best, tell stories and believe them to be true, be they religious, political, social, personal, ethnic or economic stories. But today's story is BrExit. At the order of President Donald Trump, the U.S. military lobbed dozens of cruise missiles at a Syrian air base from which a chemical weapons attack was launched this week that killed Syrian civilians — to include children. Trump’s critics are already denouncing the strikes as a sign of his recklessness and America’s deepening and unwise involvement in the Syrian civil war. His supporters are celebrating the attack as a sign of the sort of American resolve that has been missing for the last eight years as well as a message to the world’s bad guys. So which is it? Should we condemn or praise Trump’s decision? The answer, of course, is not so easy. I offer my thoughts below. It is late, I am tired, and I have more questions than answers, but here it goes. On the day after 50 children, women and men died in Syria, likely from the nerve agent sarin, U.S. President Donald Trump sounded a bit like he had realized for the first time what it means to be president. "I have to say that the world is a mess. I inherited a mess," Trump said on Wednesday during a joint press conference with King Abdullah II of Jordan. "I inherited a mess. We are going to fix it." It was almost as if he hadn't anticipated being forced to deal with problems as complicated as Syria. And perhaps he really hadn't. Trump had just seen the most recent images of horror coming out of Syria -- in his office and on television. They showed children and adults in the small town of Khan Sheikhoun following an attack by Syrian dictator Bashar Assad's air force. The victims lay twitching on the ground, some of them already dead with eyes gazing into the void. Piles of corpses could be seen, tiny bodies piled one on top of the other, all life extinguished. They were horrific, haunting images that immediately spread around the world and many Western governments have no doubt that they are the product of a chemical weapons attack on the residents of Khan Sheikhoun by Assad. The images apparently deeply shook the U.S. president. "When you kill innocent children, innocent babies, babies, little babies, with a chemical gas that is so lethal," Trump said, "that crosses many, many lines, beyond a red line." It sounded as though he were already considering strikes in Syria. Ahead of the Donald Trump-Xi Jinping summit this week at Mar-a-Lago, Taiwan is understandably anxious. Trump’s ascendance to the American presidency has injected uncertainty into the U.S. approach to China and Taiwan — an element of foreign policy that is traditionally carefully calibrated to avoid upsetting the precarious cross-strait arrangement. Taiwanese President Tsai Ing-wen’s unprecedented phone call with then-President -elect Trump in early December seemed to herald a new, more muscularly pro-Taiwan approach. This impression was subsequently belied by Trump’s suggestion that Taiwan could be traded away as part of a grand bargain with China. Speculation about Trump’s interest in upending this long-standing U.S. policy died down after the president affirmed his support for the “one China policy” in his first conversation with Xi. The next month, Secretary of State Rex Tillerson adopted China’s verbiage regarding a “new model of great power relations” during his trip to Beijing. Whether and how Trump and Xi will address the one China policy remains to be seen. “We are preparing for every scenario,” one unnamed Taiwanese official told The Washington Post. Yet the underlying problem is clear. As Taiwan’s recently released Quadrennial Defense Review argues, Chinese military power is increasing at the same time as the new administration’s plans for “the United States’ Asia-Pacific strategic direction and troop deployment” remain uncertain. These shifting geopolitical currents come at the same time as growing strain between Taiwan and China. Beijing regards Tsai’s traditionally pro-independence political party as antagonistic to its interests and, since her inauguration last May, has undertaken a campaign of increased economic, political, and military pressure. The confluence of escalating cross-strait tensions and uncertainty regarding the Trump administration’s policy underlines the need for Taiwan to think seriously and strategically about its defense policy. The cross-strait military balance has shifted dramatically in China’s favor over the past decade and Taiwan’s defense investments have not kept pace with the modernization of the People’s Liberation Army (PLA). Although it remains likely that the United States would intervene in the event of a Chinese attack, Taiwan must nevertheless maintain sufficient forces to prevent China from achieving a fait accompli before the United States mobilizes politically and/or militarily to respond. For Taiwan to credibly deter China, it must abandon any hopes of parity with China’s capabilities — including its expensive new submarine program — and instead invest in a force capable of executing an asymmetrical defense strategy. The U.S. president announced recently his plans to increase the country's defense budget in 2018 by 54 billion dollars (roughly 10%) in order to "rebuild the depleted military of the United States of America at a time we most need it". Whether justified or not, this extra outlay will take the U.S. even further ahead of the rest of the world in terms of outright military spending. Our infographic shows how the current budget compares to the world's other top spenders. According to the Stockholm International Peace Research Institute, in 2015 U.S. defense spending outstripped that of China, Russia, UK, France, Japan, Saudi Arabia and India combined. When it comes to spending as a share of own GDP, The United States' huge output naturally brings them down the rankings somewhat. Of the top outright spenders, Saudi Arabia is way ahead, with 13.7 percent. This chart shows military expenditure in 2015 in billion U.S. dollars and as share of GDP of the top spending countries. You will find more statistics at Statista. The nature of war is not changing but rather the character of war is with social media, cyber operations, information operations and small commercially available unmanned aerial vehicles, which all lead to an increasingly lethal battlefield in which all domains will be contested and congested. With adversaries catching up to and challenging the superiority of the U.S. military in the various domains of warfare, the Pentagon is seeking to undertake a series of initiatives to posture itself to fight and win in future operating environments. The individual services have been discussing new operating concepts surrounding multi-domain battle or multi-domain command and control, all of which is to say they are pursing concepts to facilitate the free flow of information, operations and maneuver seamlessly across the five domains of war. At a higher level, the Pentagon, under the tutelage of the deputy defense secretary, has embarked under what he calls the third offset strategy, which in its simplest terms hypotheses “that the advances in artificial intelligence and autonomy — autonomous systems — is going to lead to a new era of human-machine collaboration and combat teaming.” Work has also emphasized that the effort is really about increasing and strengthening conventional deterrence. On Monday, the subway system of St. Petersburg, Russia’s second city, was the site of a massive bomb blast that killed 14 commuters and wounded more than 50 others. (A second, unexploded device was subsequently found and defused by authorities.) The attack marked the most significant terrorist incident to hit the Russian Federation since December of 2013, when a female suicide bomber blew herself up in the main train station of the southern Russian city of Volgograd ahead of the 2014 Winter Olympics in nearby Sochi. But it is also much more. Monday’s bombing is the latest sign of Russia’s worsening terrorism problem, as well as a portent of things to come. Most directly, Monday’s attack in St. Petersburg can be viewed as blowback from Russia’s ongoing intervention in Syria. Since September 2015, the Kremlin has become a major player in Syria’s grinding civil war, establishing a significant—and open-ended—military presence in the country in support of Bashar al-Assad’s regime. Russia’s involvement has paid concrete strategic dividends, making it possible for Russia to reinforce its historic naval base at Tartus, establish a new air base in Latakia, and forward deploy an expanded naval force in the eastern Mediterranean, among other gains. But it has also made Moscow the target of Islamist ire, with both the Islamic State (also called ISIS) and Jabhat al-Nusra, al-Qaeda’s Syrian affiliate, pledging to retaliate in Russia. SPACE SYMPOSIUM: If war breaks out between the United States and a competitor like China, it will almost certainly be fought in space, just as it would be fought on land, at sea and in the air, the head of Air Force Space Command said in an interview. This is the rub of using weapons in or from space. Once it begins, who gains an advantage? Every side would lose huge amounts of intellectual, technical and monetary treasure once the fighting starts in space. But Raymond, Gen. John Hyten — the head of Strategic Command — and a wide array of Air Force officers with whom I’ve spoken over the last three days all clearly believe the U.S. must be able to wage war in space. T WAS 3:30 p.m. last December 23, and residents of the Ivano-Frankivsk region of Western Ukraine were preparing to end their workday and head home through the cold winter streets. Inside the Prykarpattyaoblenergo control center, which distributes power to the region’s residents, operators too were nearing the end of their shift. But just as one worker was organizing papers at his desk that day, the cursor on his computer suddenly skittered across the screen of its own accord. The operator grabbed his mouse and tried desperately to seize control of the cursor, but it was unresponsive. Then as the cursor moved in the direction of another breaker, the machine suddenly logged him out of the control panel. Although he tried frantically to log back in, the attackers had changed his password preventing him from gaining re-entry. All he could do was stare helplessly at his screen while the ghosts in the machine clicked open one breaker after another, eventually taking about 30 substations offline. The attackers didn’t stop there, however. They also struck two other power distribution centers at the same time, nearly doubling the number of substations taken offline and leaving more than 230,000 residents in the dark. And as if that weren’t enough, they also disabled backup power supplies to two of the three distribution centers, leaving operators themselves stumbling in the dark. The hackers who struck the power centers in Ukraine—the first confirmed hack to take down a power grid—weren’t opportunists who just happened upon the networks and launched an attack to test their abilities; according to new details from an extensive investigation into the hack, they were skilled and stealthy strategists who carefully planned their assault over many months, first doing reconnaissance to study the networks and siphon operator credentials, then launching a synchronized assault in a well-choreographed dance. Bruce McConnell is the Global Vice President of the EastWest Institute. He leads the organization’s Cooperation in Cyberspace Initiative. On March 14-16, the EastWest Institute (EWI), in partnership with the University of California, Berkeley Center for Long-Term Cybersecurity, hosted a summit featuring over 200 government officials, industry experts, academics, and activists from 30 countries. They met to identify areas of closer collaboration on attacks and sharing of threat information between corporations, governments, and other stakeholders that play a critical role in defending cyberspace. Since 2009, EWI has brought together international actors through its Global Cyberspace Cooperation Summits, aiming to coordinate and consolidate progress, showcase results, and promote collective action. The summits provide a crucial forum for building international, private-public actions to foster international cooperation in cyberspace and norms of responsible behavior. Some outside observers have assessed that the U.S. is losing the so-called war of ideas. Initially spurred on in light of the propaganda campaigns orchestrated by the Islamic State group, this can now be applied generally to the information operations and active measures that Russia allegedly applied in the 2016 presidential election. Efforts to combat ISIS propaganda have been described as inefficient. Similarly, the reported Russian meddling in the 2016 U.S. election — and the elections of other Western democracies — compounded with the official standing up of an information operations wing in the Russian military, has forced a reevaluation of information warfare within U.S. ranks. Unmanned aircraft will be a key pillar for and a major component of the Marine Corps’ electronic warfare strategy, according to the service’s 2017 Aviation Plan, released at the end of March. The Marines will now be pursing requirements for developing and maintaining aviation-specific EW expertise that will reside in the VMU. A payload for the MQ-21 BlackJack is funded beginning in FY18, the plan said, which will “lay the foundation for further expansion as the Marine Corps moves towards a Group 4/5 UAS capability.” Group 4 and 5 systems include the MQ-1 Predator and RQ-4 Global Hawk, respectively.